The Zebra ZXP Series 3 ID card printer is a compact solution built to deliver high-quality badges at a low cost per card. Zebra� ZXP3 Single- or Dual-Sided ID Card Printer/Encoder is a reliable workhorse and meets basic card-production needs with great results for organizations regularly printing employee IDs, visitor, event or membership badges, or access-control badges in moderate volume. It delivers first-class direct-to-card print quality (vibrant color or monochrome), is easy-to-use, and features a highly scalable modular design, optional magnetic-stripe and smart-card encoding, Ethernet connectivity, and multiple card thicknesses. It�s a great tool for governments, universities, retail, and hospitality businesses. 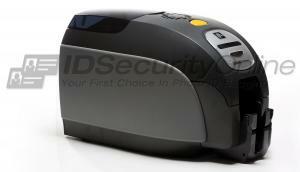 WHAT ARE THE MAIN SPECIFICATIONS OF THE ZEBRA ZXP SERIES 3 ID CARD PRINTER? WHICH TYPE OF CARDS CAN I PRINT WITH A ZEBRA ZXP SERIES 3 ID CARD PRINTER? Time & attendance badges: your Zebra ZXP Series 3 ID card printer allows you to track your employees, visitors or students. Event passes: print event badges on demand with the compact yet fast Zebra ZXP Series 3 ID card printer. 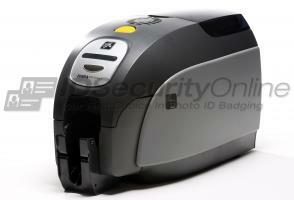 WHICH OPTIONAL FEATURES CAN I ADD TO MY ZEBRA ZXP SERIES 3 ID CARD PRINTER?